Gold Coast Schools has bundled these mandatory courses together in one convenient package at a reduced price. It’s a perfect complement to those who have taken the 14-hour Financial Responsibility course to reduce their bonding requirement. This 6-hour compliance package will give the licensee the remaining mandatory CE credits necessary to renew their license. This package contains the courses listed below. Normally, each course costs $25, but through this package deal, you pay only $99! Upon successful completion of your online CE course, you will be able to print a hard copy completion certificate to keep for your records. For state certified licensees, we will electronically report the completed CE hours to the DBPR and the appropriate board(s). 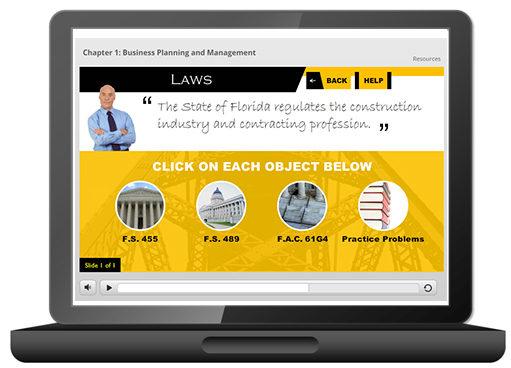 Course Expiry: All online courses in this package expire 2 years from the date of purchase. However, your completion certificate remains valid indefinitely.